The European Parliament voted today to move ahead on copyright reform. 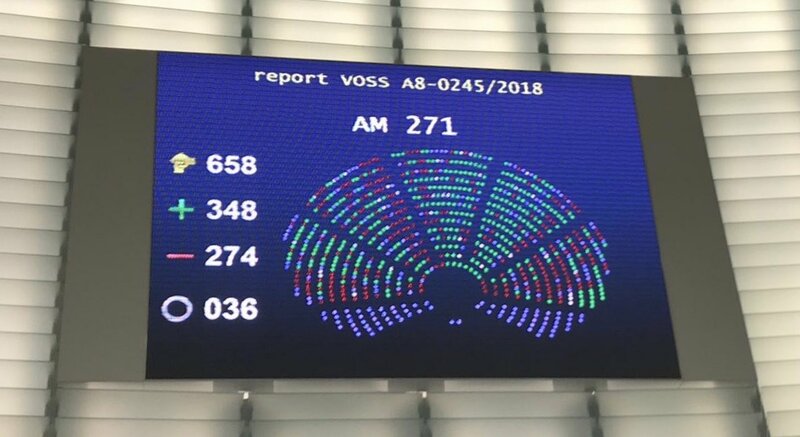 The whole directive was adopted by a clear majority of 438 votes for, 226 against and 39 abstentions. IMPALA’s Executive Chair Helen Smith commented: “This is a great day for Europe’s creators. The Parliament has sent a clear message that copyright needs to be modernised to clarify obligations of platforms with regard to the creative works they distribute." The next step will be for the Parliament to enter final negotiations with Member States and the European Commission to reach a conclusion, a process which could be completed by the end of the year. Helen Smith added: "This means that we can finally enter the last phase of negotiations to secure a fair and sustainable internet. We thank the rapporteur Mr. Voss for standing firm and showing leadership and all the parliamentarians who voted in favour today. Platforms facilitate a unique relationship between artists and fans, and copyright reform is about rebalancing the licensing framework around this". Helen Smith concluded: "We expect the next step in trilogue to make progress quickly and an agreement on a strong and balanced text to be found. The eyes of the world are on Europe to make online platforms more accountable and set new standards for creators online."